The enivronment in northern Ghana is diverse and can vary from community to community. Trax works in Upper East and Northern Regions but the local environmental conditions differ across the communities and districts we work. We know that understanding and respecting the environmental variations from place to place, as well as the social, cultural and language variations, are integral to the success of Trax’s project activities. This is why our field staff are all from the local areas in which they work, such that they are aware of localised customs and environmental sensitivities. In Northern Region, Trax has an office in Bunkpurugu-Yunyoo District which borders Togo to the east. In the area around the town of Bunkpurugu, the Borassus tree is abundant and is off local importance for it’s diverse uses. Borassus is a genus of palm tree found in tropical areas around the world. The species Borassus aethiopum is found across the Sahel and sub-Sahelian region of Africa, stretching from Senegal to Ethiopia. 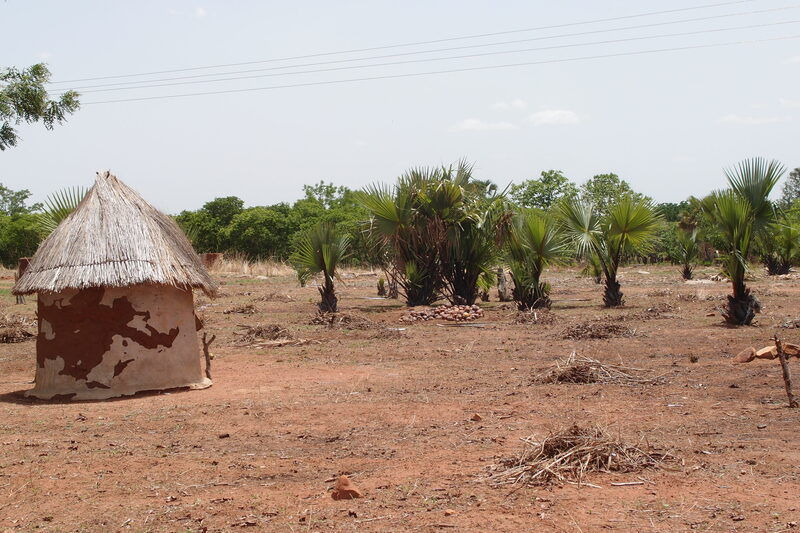 Despite the tree’s generally wide geographical spread, in Ghana it is much more prolific in some areas, including in Bunkpurugu-Yunyoo District. The large fruit of the Borassus tree collected for consumption and planting of the seeds. The large fruits are edible and provide a good source of some nutrient, including calcium, iron, and Vitamins A, B, and C. It is also know to support digestive health and in some areas is used as a natural health remedy due to anit-inflammatory properties and is used to treat vomiting and other digestive complaints. 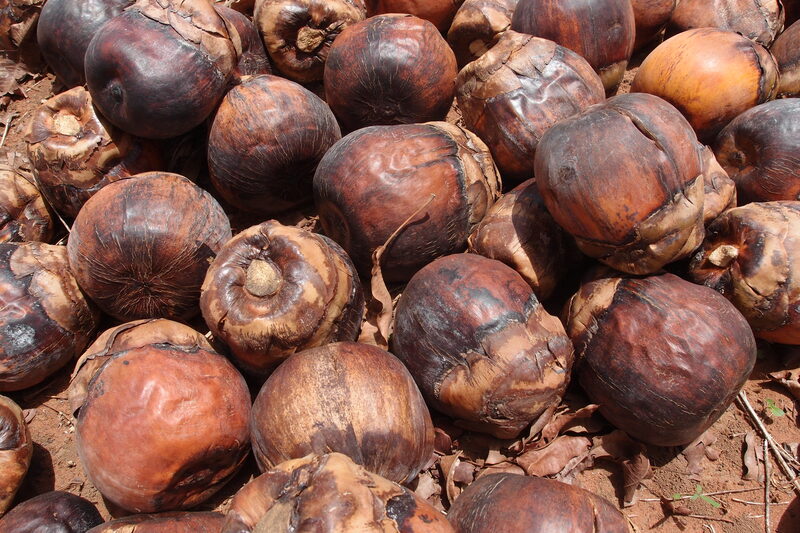 In Bunkpurugu, the Broassus fruit is widely eaten. 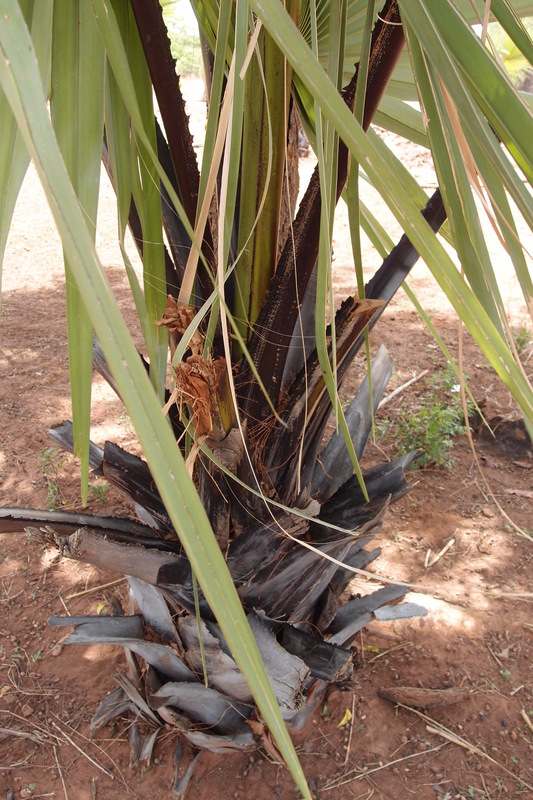 Another source of food from the Borassus tree which is widely utilised in Bunkpurugu is the young root. When the fruit is harvested for consumption, farmers will retrieve the seeds from the fruit and plant them. Once the seed has begun to shoot they will harvest it and the root extending from the seed is cut for consumption. The small root, roughly 30cm in length, can be roasted and eaten as it is but it is also used as a substitute for yam or cassava in local dishes, where the root is ground and used for locally important dishes such as fufu and gari. The leaves of the Borassus tree – once dried the leaves can be used to weaving, a local craft. Beyond edible parts of the plant, in Bunkpurugu-Yunyoo District the leaves are widely used as the raw material for weaving, a local craft. The tree stem, or trunk, is hard wood so is used in construction: in Bunkpurugu, the stem is commonly used for building rafters to support thatched rooves. 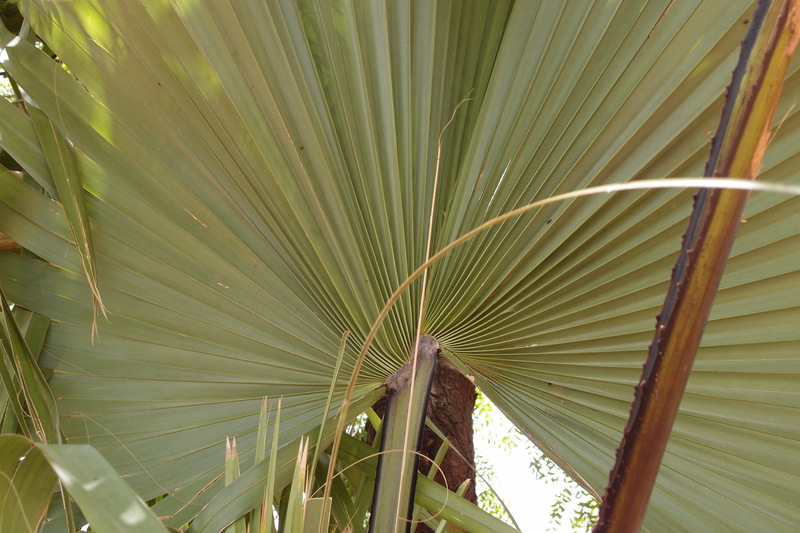 The strong, woody petioles of leaves which have since died remain around the stem of the tree, channeling water to the base of the stem and the roots. These long petioles are also used for fencing in Bunkpurugu. Thus, every part of the Borassus tree is utilised by farmers and households in Bunkpurugu-Yunyoo District. The tree is widely abundant in the district so it makes sense for local communities to capitalise on the non-timber forest products, as well as the timber. Many farmers now grow plantations of Borassus in order to secure a supply of the fruits and seeds, for cultivating the young root, as a food source. A young Borassus tree with the petioles of leaves which have died surrounding the stem, or trunk. Understanding the local significance of the Borassus tree means that, when working with farming communities in Bunkpurugu-Yunyoo District, Trax field staff are in a better position to tailor agroecological and sustainable livelhood project activities to the needs, priorities, and preferences of the communities. This relationship with the local context is essential for agroecology and food sovereignty and for the success and sustainability of all of Trax’s projects. This entry was posted in Agro-forestry, Non-timber Forest Product and tagged Borassus aethiopum, Borassus tree, Bunkpurugu-Yunyoo District, Economic value of trees, Non-timber forest products, Uses of Borassus tree. Bookmark the permalink.